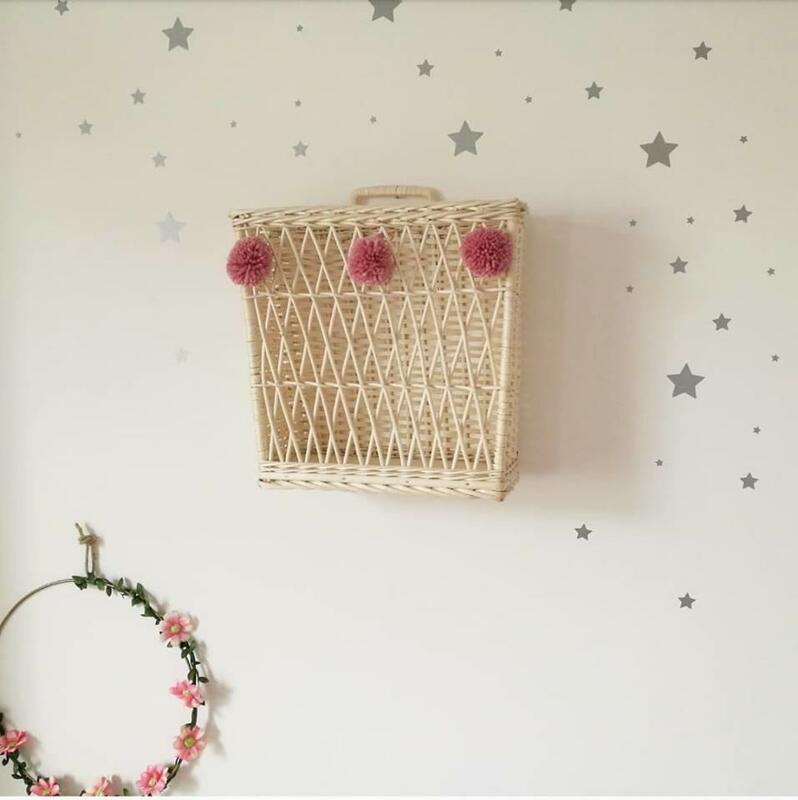 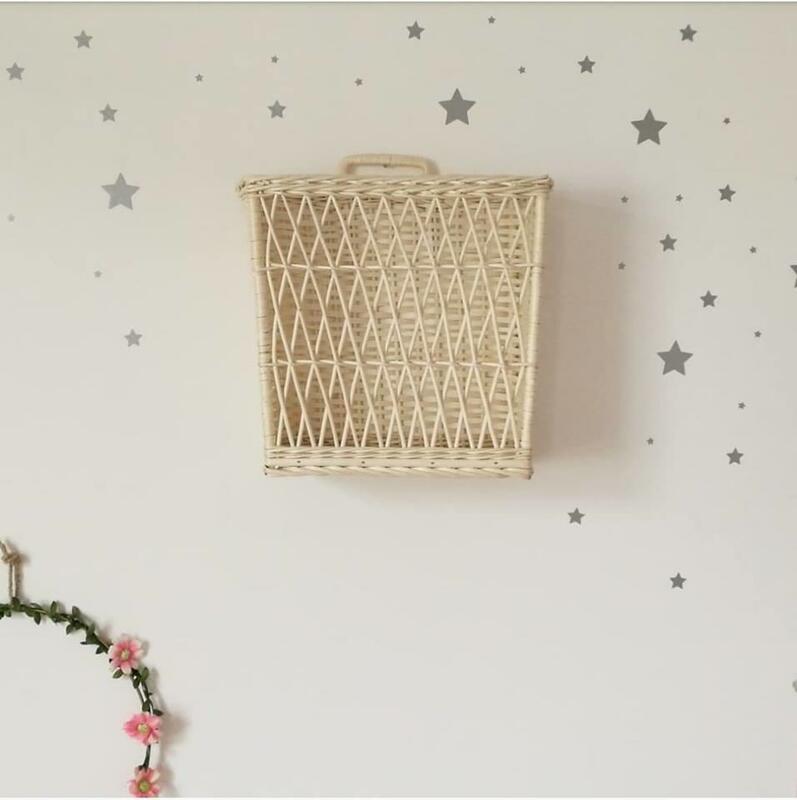 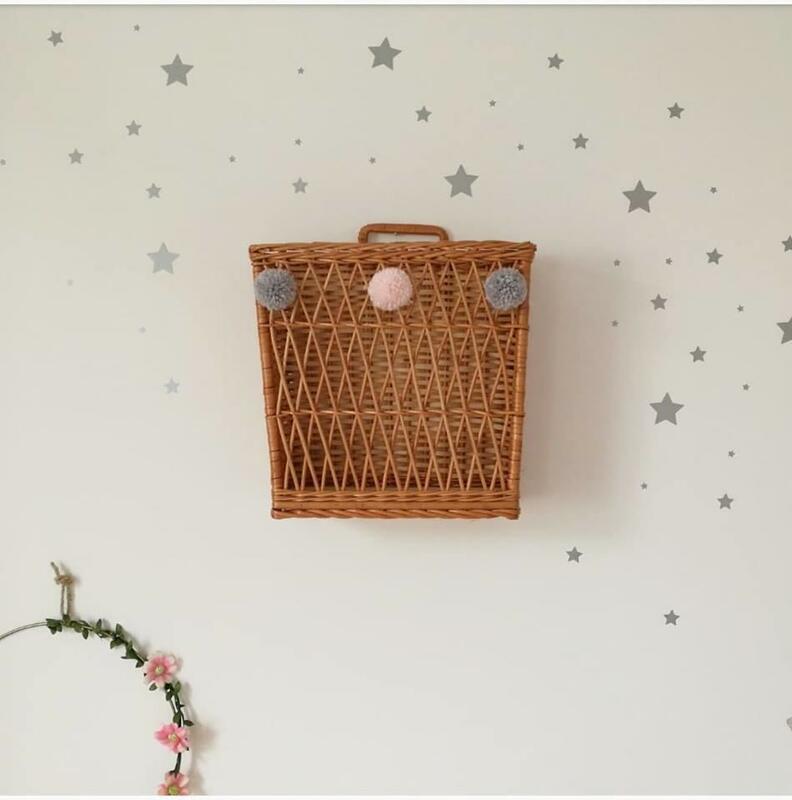 Beautiful hand woven wicker hanging basket is perfect to store books, newspapers, flowers or even toys. 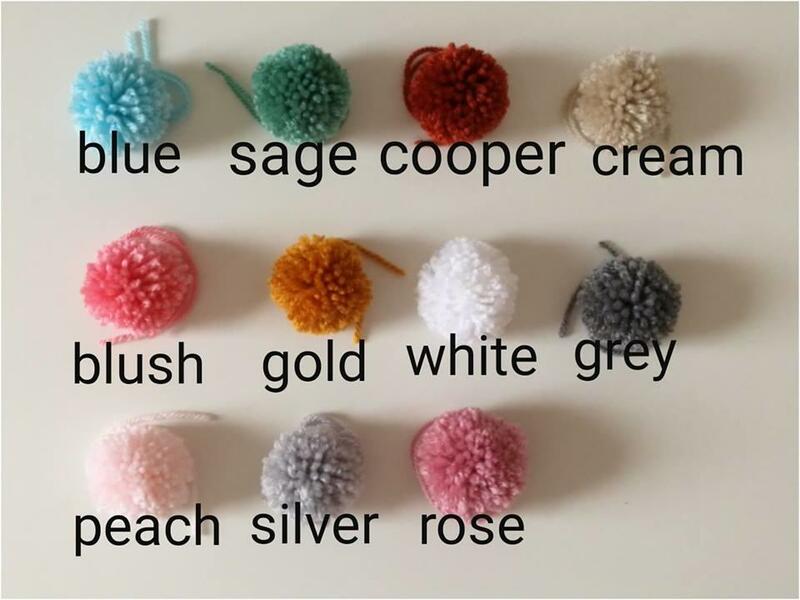 There are 3 pompoms included (please see picture and choose your favourite colours) however they are available without pompoms too (please leave your preferences). 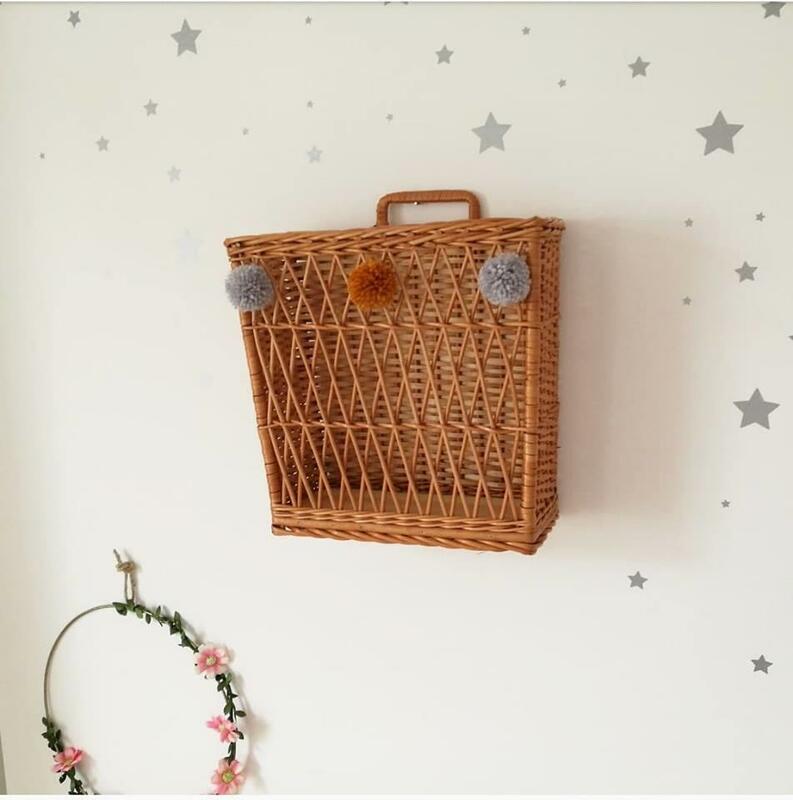 Please it is a handmade product and each piece is unique.